20 Sep - Page posted. Course Duration: 12 days. 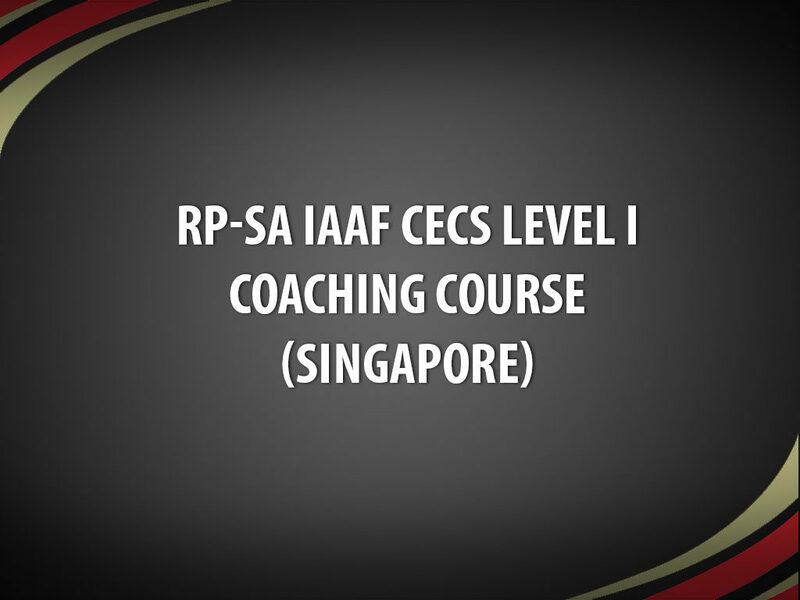 Compulsory to attend the full 12-day course as per the IAAF requirements. Application Closing Date: 29th September 2017, 1730H (Only those with relevant certificates submitted will be considered). 100% attendance required for *ALL 12* days (In yellow shaded box below). + 15h coaching practice after the course for full IAAF cert. Date & time are subject to changes. Priority will be given to those who are serious in growing the sport of Athletics and are WILLING to commit at least 15hours of coaching practice (By understudying NROC registered coach/assisting NROC registered coach in training sessions). Have a minimum of a completed Primary school education. Have an interest in athletics. Be able to speak and read the course language sufficiently well to sit a written and practical examination. Must be willing to actively involve himself or herself as a qualified coach and to assist the IAAF Member Federation in the development of athletics. Compulsory to attend all classes punctually and throughout the duration of the course (Compulsory to attend the full 12-day course as per the IAAF requirements). b) Group B – Current track & field coaches and PE teachers, non-track & field coaches, public etc. All applications are given consideration according to the date the completed application & payment are received by the SA. Applications without payment will not be considered complete until payment is received. Please note: Your cheque is not banked in until after selection. Cheque should be made payable to "Singapore Athletic Association"
Every Monday to Friday (except public holiday) – 10am to 6pm.